These reception rooms are expected to ease the process of not only filing a complaint manually but also help people know their case status. 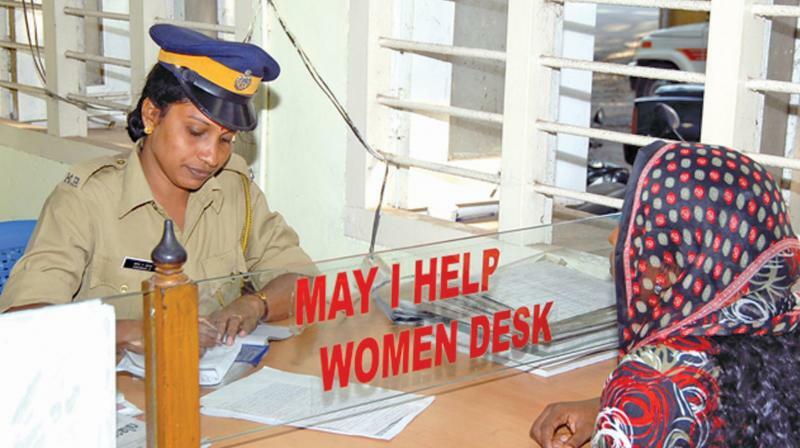 A new help desk at a police station. Guwahati: The Assam police has embarked upon an ambitious plan to bridge the gap between the police and public by introducing reception counters in police stations, thereby making the place visitor-friendly. Pointing out that they have started this programme in five police stations only, he said that more police stations are likely to be covered in the future. Besides Panbazar, Bharalumukh, Dispur, Fatasil Ambari and Jalukbari police stations have also set up reception rooms. These rooms are going to start functioning shortly. In February, Assam government launched the Mission for Overall Improvement of Thana for Responsive Image (MOITRI) scheme, focusing on making police stations citizen-friendly. It has envisaged refurbishing police stations with facilities such as reception and waiting lounge, video-conference system, separate women and children cell, separate entry for them, toilets, adequate drinking water facility and boundary wall. The state government intends to cover all 346 police stations in the state under the scheme, for which `125 crore has been earmarked. Mr Saikia, who came up with the idea, calls reception rooms as shock absorbers. “The reception area acts as a shock absorber as a trained police constable not only listens to the complaint but also guides the complainant to complete the initial work,” said Mr Saikia. Even if an officer-in-charge is busy with other cases, the receptionist may engage the complainants by addressing small grievances and taking them to the person concerned, he added. All the same, this concept of reception rooms in the police station is not something novel as many states — Delhi, Karnataka, Kerala and Maharashtra — have already set up such reception rooms in police stations in the last few years.